Microsoft is getting ready to show off some new goodies including the Surface Pro 4, two Lumia phones, and a new Microsoft Band. Or, so say the rumors anyway. If you’re wondering when Windows 10 for Mobile will land this fall, there’s a pretty good chance it’ll be in October. That’s when Microsoft reportedly has an event planned to unveil a slew of new hardware, including two new Lumia phones, the Surface Pro 4, and a second iteration of the Microsoft Band. There’s no hard date yet for the event, but The Verge’s Tom Warren—who has a sterling track record when it comes to Microsoft leaks—says it will happen in October. On top of all the action Microsoft has planned there are supposedly two hardware-related “surprises” in store for the event. What those might be is unclear, but speculation currently includes a slimmer Xbox One and a Surface Mini. As for the phones, Microsoft is widely expected to release the Lumia 950 and 950 XL, a.k.a Talkman and Cityman. The smaller of the two will feature a 5.2-inch display, Qualcomm Snapdragon 808 processor, while the larger one will feature a 5.7-inch display and Snapdragon 810, according to the latest reports. Other features for both phones including 3GB RAM, 32 GB storage, microSD slot, 20-megapixel PureView camera, and 5MP front-facing. 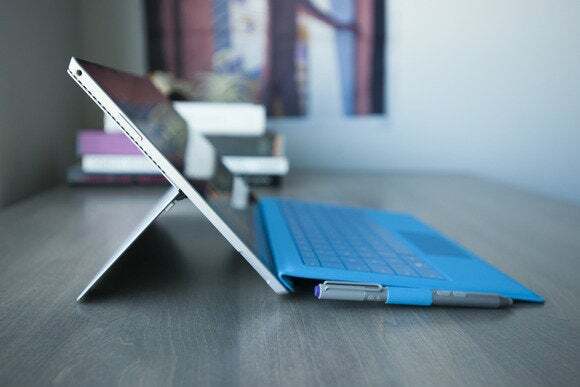 Little is known about the Surface Pro 4, but Warren figures Microsoft won’t change the hardware too much from the Surface Pro 3. Microsoft wants to keep the basic form factor and charging mechanism the same to appeal to enterprise customers already invested in the SP3. Even less is known about the Microsoft Band 2, but our wish list includes waterproofing, a slimmer design, and a better display for lenghty notifications. The impact on you at home: You shouldn’t launch a new mobile OS without a few flagship phones. That’s why its a pretty good bet Windows 10 for Mobile will roll out just before or just after the rumored event in October. The only exception would be if Microsoft wants to treat Windows 10 for Mobile no differently than Windows 10 on PCs by delivering upgrades to current phones without worrying about having flagship devices ready. That seems unlikely, however.